So you made the significant investment to install GPS tracking on your fleet, and now you are wondering if it was worth it. You were sold the idea that GPS tracking would help you streamline your fleet and cut your costs, but so far you are not experiencing the results you were expecting. GPS tracking is quickly becoming the standard for any company who has a fleet of vehicles, but tracking alone often doesn’t live up to the hopes of those businesses. If this sounds familiar, you are not alone. If you find yourself spending your valuable time pouring over the information from your GPS system trying to figure out how to maximize your efficiency on the road with minimal results, then you are unlikely to see much of a return on your investment without some extra tools. GPS tracking can be an extremely valuable tool, but it generally doesn’t provide many benefits by itself. So if you want to see all the improvements that convinced you to make the investment in GPS tracking to begin with, then you may need to upgrade to a Fleet Automation System. Well, the concept is really simple, if your existing GPS tracking system leaves you wanting more, then consider these reasons to switch to a fleet automation system. With a GPS tracking system, you shall just track vehicles, but fleet automation can help you track vehicles along with performance at the same cost. Are You Getting Maximum Value From Your GPS Tracking Data? The real fact is, without realizing the benefits a true fleet automation system can bring, far too many business owners pay big money to install a simple GPS tracking system on their fleet thinking they are going to be able to use the data it generates to save them money, but once they have the data it sinks in that they really don’t know what to do with it. Fact is, when it comes to optimizing the performance of your vehicles, drivers & operations, GPS tracking is only half the puzzle and you still have a long way to go ahead. 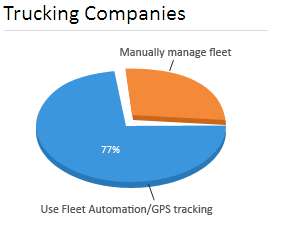 This is where the differences begin to show up between GPS tracking and fleet automation. 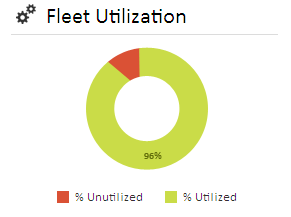 With fleet automation instead of raw location and travel data, you get a plan to optimize your fleets’ performance based on that data. A fleet automation system will monitor every factor required to keep your fleet running and offer you ways to optimize everything that affects the time and cost required to keep your fleet on the road. In short, fleet automation will tell you how exactly & productively you could use that information to make changes that can bring positive impact on your fleet operations, right from the bottom line. One struggle of every company that carry out their operations with a fleet is getting the most of every mile a vehicle spends on the road. 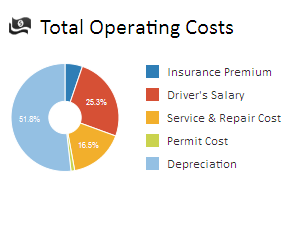 With the cost of running a fleet steadily rising, it is more important than ever to optimize the utilization of your fleet. Fleet automation will help show you where you are under-utilizing your vehicles and help you come up with a plan to get the highest return possible out of every vehicle you have on the road. The system focuses on identifying and handling cases that deviate from the norm by way of Exception management. 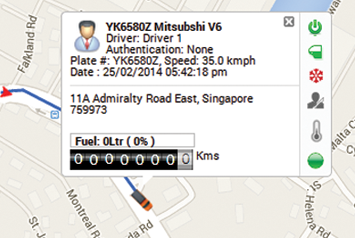 An exception report is where data is not within expected parameters or rules set by the fleet manager. And this is not just about speeding or excessive breaks, you could get a lot more from that with a fleet automation system. With the cost of fuel making up more than 30% of operating expenses in most fleets, reducing fuel waste can mean major savings for many companies. Fleet Automation tackles fuel issues from multiple angles. Many companies struggle with finding ways to cut fuel usage until they switch to a Fleet Automation system capable of helping them track and address the many factors that simultaneously affect fuel consumption. How fleet automation can help me? – Let’s take it for real..
At trucking fleets around the world, managers are looking for technology that can make their operations more efficient. According to an article in Truckinginfo.com, a study was conducted by Intermec, a supply chain solutions provider. Hundreds of trucking companies were surveyed for the study. Most of the managers believed that automation and innovation would make their operation better. Over 70 percent of trucking companies stated that they are currently utilizing fleet management technology. More than 77 percent reported they now utilize GPS for their fleets. There are many times when a company suspects their drivers may be using company vehicles for personal reasons. This puts the company at increased risk, and adds more wear on the company’s vehicles. Technology can make it possible for a company to identify the person who is driving their vehicle. This will prevent the use of vehicles for personal purposes. This can also be accomplished with door sensors as well as ignition alerts. A company can know just how their vehicles are being used at all times. Meanwhile, one of the most important aspects of having technology be successful is its acceptance by the company’s drivers. While some drivers welcome the benefits of technology, others will be confused and struggle to incorporate it into their daily driving. In most cases, drivers see the benefits over time. It’s not so hard to convince them about the importance of effective fleet management, considering the cost & value of goods that they transport on a daily basis. Let them know, it’s not for tracking them, but for managing the valuable assets inside; ensuring all safety & security measures are met successfully, so they wouldn’t be portrayed for wrong happenings. Many consider fleet automation a different technology from GPS tracking, whereas the fact being, GPS tracking is a part of fleet automation. With short regular interval updates, both dispatchers & receivers can know where exactly the vehicles/drivers are, that too in real time, no more hassles with continuous phone calls for neither the dispatcher, nor the receiver. Additional tools in fleet automation can also help the dispatchers to quickly respond to client calls by finding the nearest available vehicle thereby assigning them to deliver/pick up shipments en route; once again saving both fuel & time. 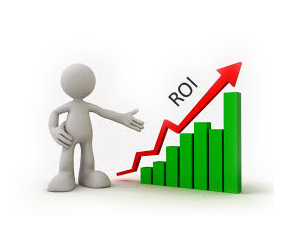 According to the study conducted by Intermec, trucking companies believe fleet automation technology provides an excellent ROI. Some companies have reported a significant decrease in their customer service calls. Problems with trucks and routes are able to be resolved much quicker. It provides an improved ability for the driver and company to communicate. Efficient routing have resulted in lower fuel costs and more. Not as complicated as you think.. Instead of spending your time monitoring your drivers actions, trying to find better routes to shave mileage, and wondering which vehicles in your fleet are due for maintenance, you can leave all of that to us and focus on what you do best: Running and growing your business. Chances are you didn’t go into business because of a love for vehicle logistics, but we did. Unlike GPS tracking alone which leaves you with yet another task on your hands to deal with, our Fleet automation system provides you with a complete solution for monitoring and optimizing your fleet. If you would like to stop worrying on your fleet and start spending that time on the parts of your business you love, then contact us today to see what our Fleet Automation System can do for you.